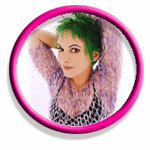 I’m excited to share that Jane Wiedlin will have a starring role in Pinball Donut Girl. Jane is just back from an amazing tour with The Go-Go’s. This summer was the 30 year anniversary of “Beauty and the Beat,” and she crisscrossed the country, performing live. When released, “Beauty and the Beat” was the first number one album on the Billboard 200 by an all girl group that wrote and performed their own material. The album stayed at number one for 6 weeks and ultimately went multi-platinum, opening the door for many other new bands. No wonder Jane and the girls were honored with their own star on the Hollywood Walk of Fame this summer. I was lucky enough to catch Jane at The Go-Go’s sold out show at the historic Fillmore in San Francisco. I had a great time! Working with Jane again will be an intergalactic treat for me. I first met her on the set of Billy Clift’s I Want To Get Married (premiering this week in Palm Springs). The beautiful Ms. Jane is a great actor and a blast to work with. This entry was posted in Cast, Jane Wiedlin and tagged film, jane wiedlin, music, people, pinball, star trek, the gogos by Anna Newman. Bookmark the permalink.